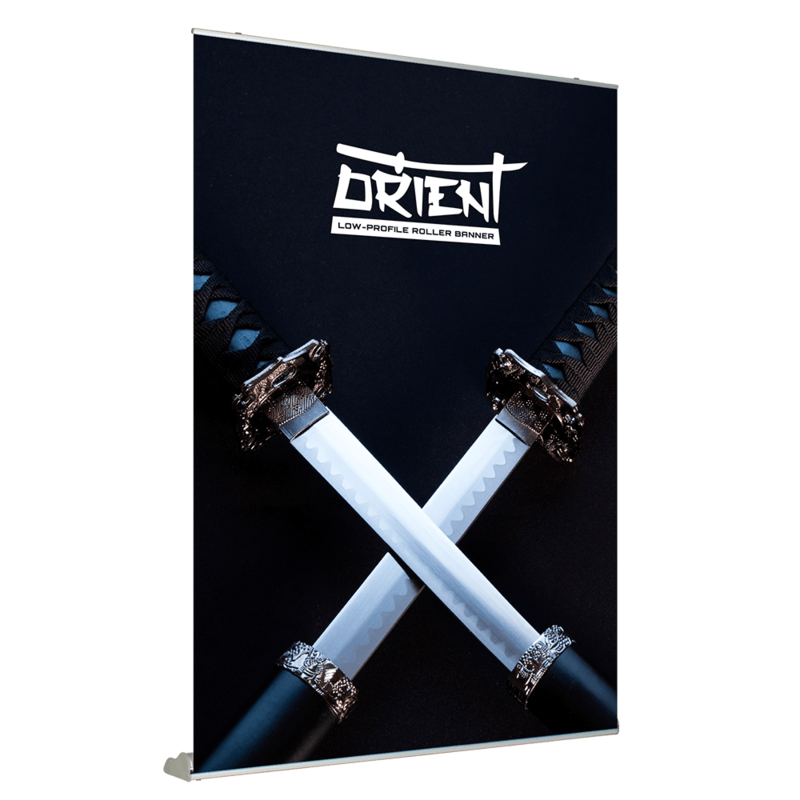 Sleekly stylish, the Orient Roller Banner is front-loading graphic that boasts floor-to-rail visibility. Project Design Print will print this banner on SoFlat, which features anti-glare, anti-scuff, and anti-curl technology. Its bold graphic surface comes in your choice of available size options. Simply upload your artwork for printing and we'll provide you with a graphical statement piece designed to perfectly showcase your marketing message. 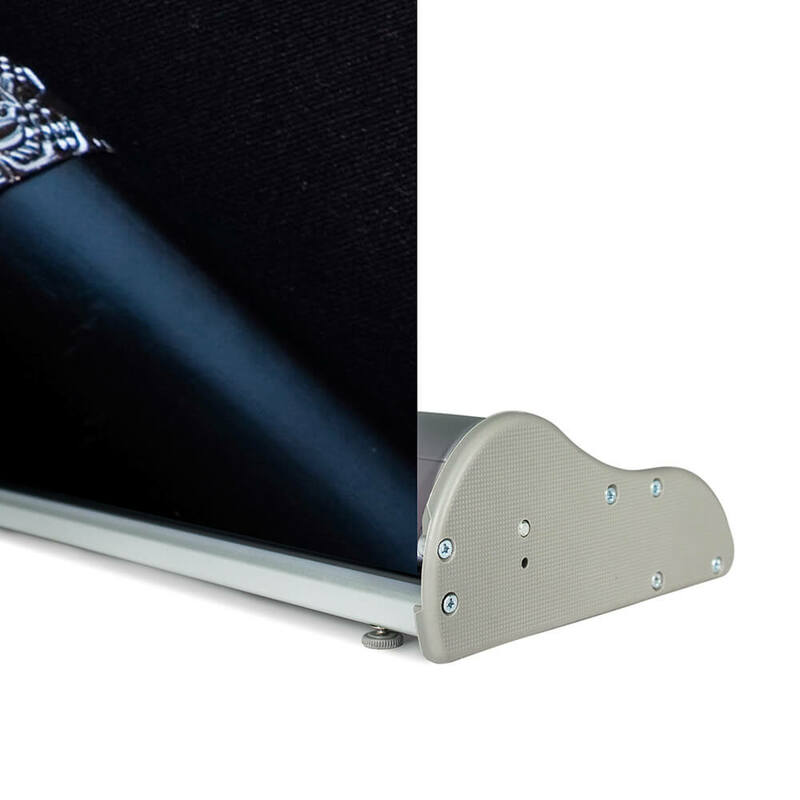 This banner will arrive with its universal rail that includes secure end caps, two hybrid telescopic poles along with snap rail. 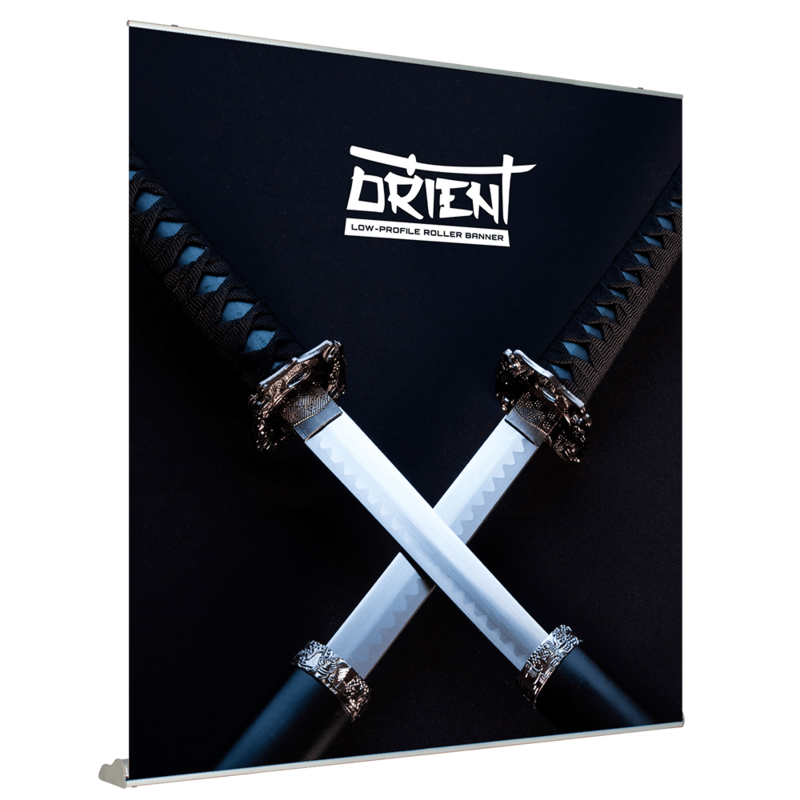 With its adjustable feet, the Orient Roller Banner is idea for use on multi-type surfaces. 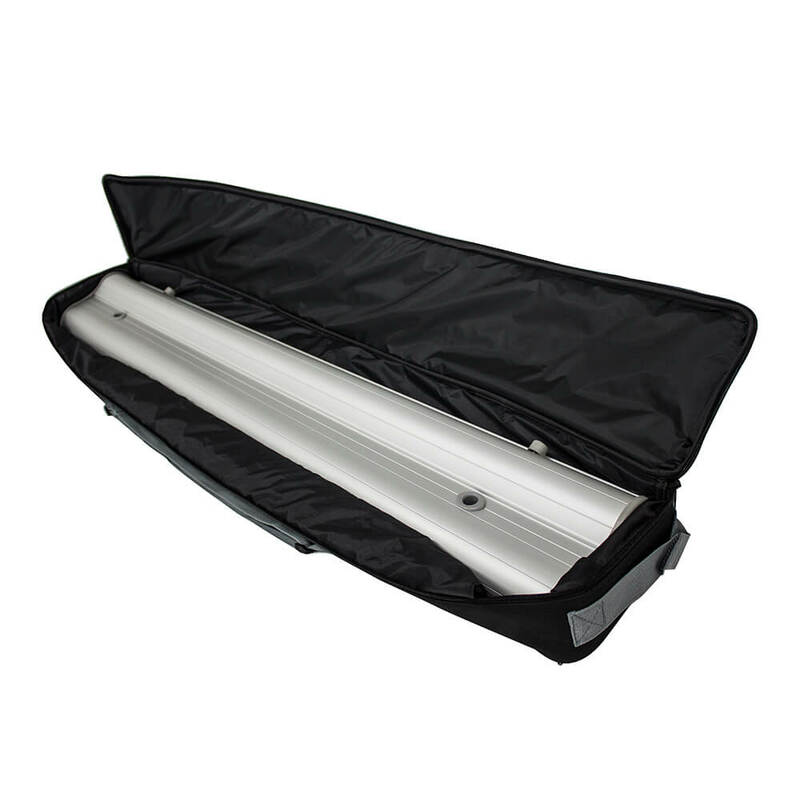 It includes carrying case for added convenience.